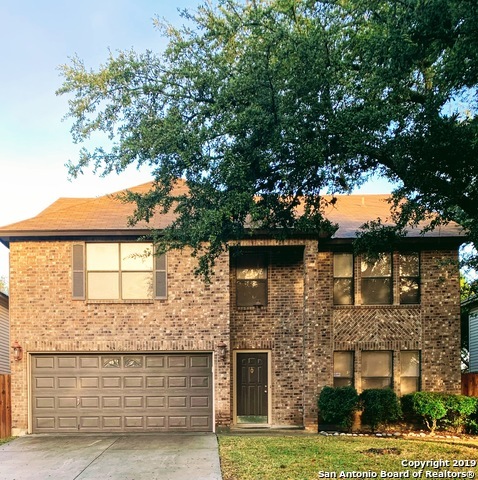 All Longs Creek homes currently listed for sale in San Antonio as of 04/26/2019 are shown below. You can change the search criteria at any time by pressing the 'Change Search' button below. 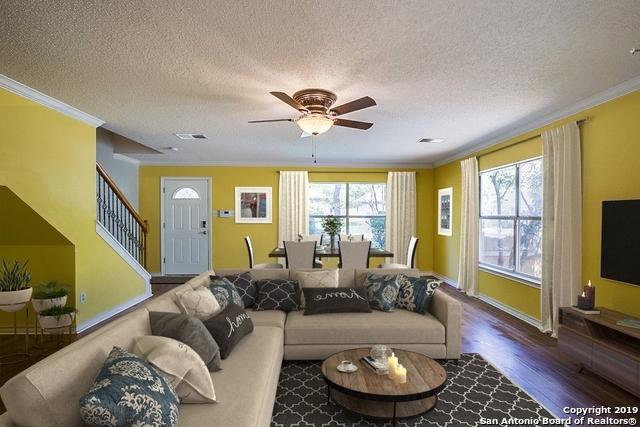 "Beautiful home with new exterior and interior paint. New modern floor tile, new stainless steel appliances and fixtures. Open floor plan from the kitchen to the family room for entertainment. Cozy fireplace! Huge kitchen with an island. Living, family and gameroom are also big. The rooms are enormous!! The large pantry can accommodate wholesale items. In the very desirable north central subdivision of Longs Creek! Property has mature trees and a big yard. Storage shed. Home is perfect for l"
"OPEN HOUSE Sat. April 27th 2-4PM. Outdoor enthusiasts will enjoy separate workshop complete with electrical PLUS gazebo and SPORT COURT PLUS a slabbed fire pit area with electricity. A window enclosed Florida room is tiled and cooled AND multiple parking pads for guests. Tile throughout and an OPEN PLAN with the added value of a NEW Roof (2019). Surround sound in the media room or a great flex space for crafting. This 3 bedroom Spacious 1 story abounds with amenities and awaits you. Schedule a"
"Beautiful home with a ton of nice upgraded features. You will love the large open living room & HUGE master retreat. When it's time to unwind just slip into the large jetted garden tub in the master bath! New water heater - 2/19, HV/AC system is only 7 years young. New window blinds throughout the home - 2015. The covered back patio is enormous at almost the whole width of the home." 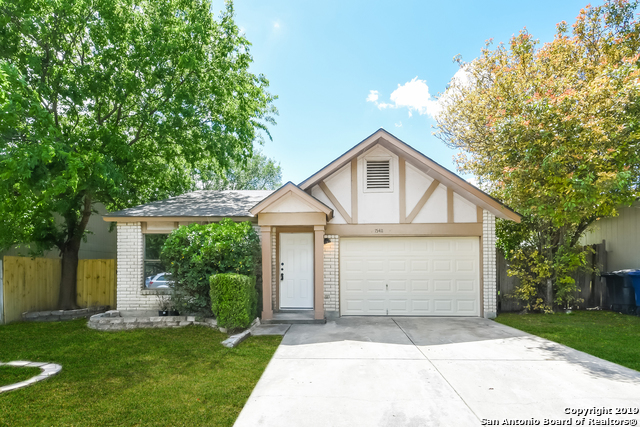 "This San Antonio two-story offers a walk-in closet in the master bedroom, a kitchen pantry, and a two-car garage. Upgraded features include a new roof. This home is part of the Longs Creek HOA. This home comes with a 30-day buyback guarantee. Terms and conditions apply." 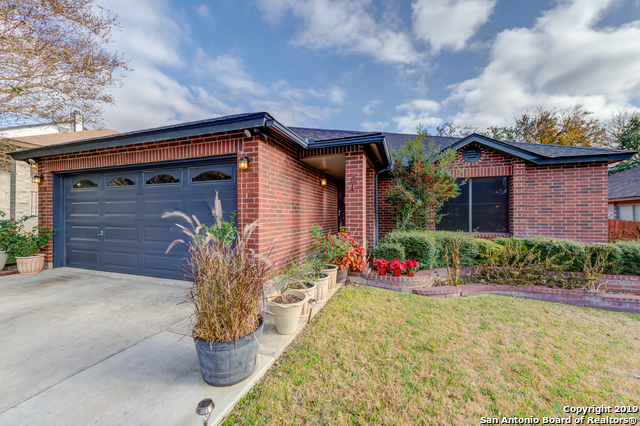 "This San Antonio one-story offers a covered patio and a two-car garage. Upgraded features include newly installed carpet and overall fresh interior paint." "Wow priced to sell. 100 percent brick home with detached 2 car garage. Large living area open kitchen, huge master bedroom. This one will not last long." 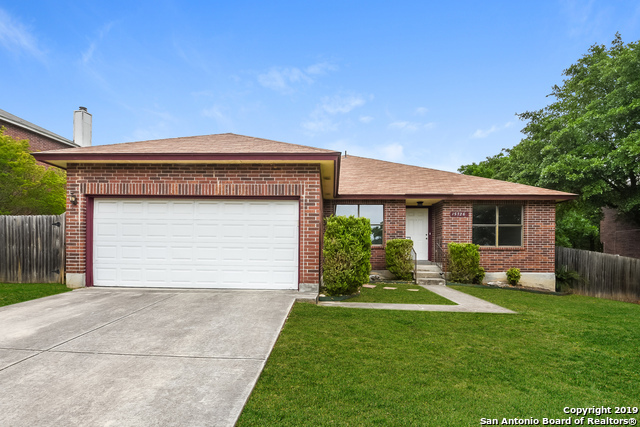 "This San Antonio one-story home offers a side patio, a walk-in closet in the master suite, and a one-car garage. 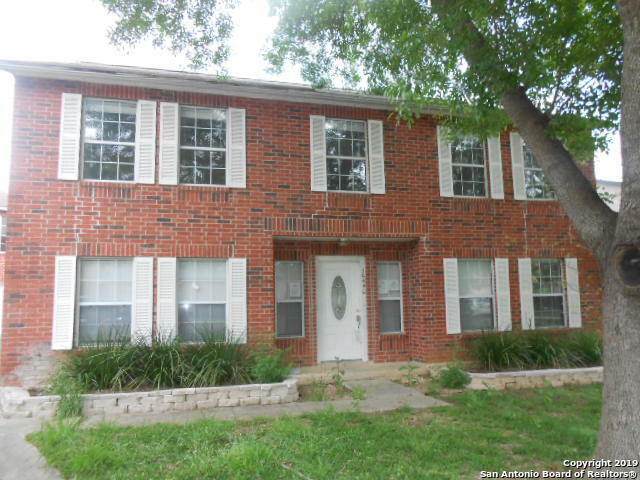 Upgraded features include newly installed vinyl flooring and overall fresh interior paint."